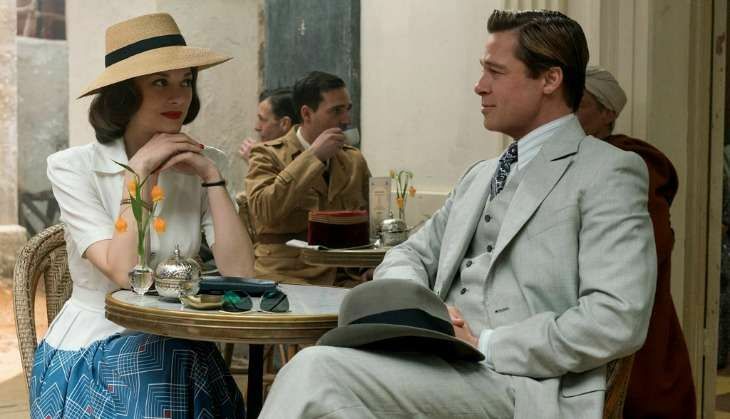 Paramount Pictures chose a rather unfortunate day to drop the second trailer of Brad Pitt and Marion Cotillard's period drama, Allied. The two play spies who meet while on assignment, pretend to be married. Only to fall in love for real, and get married for real. But just as everything seems perfect, Brad, a US intelligence officer, realises that the French spy he is married has been playing him. Or so the government believes. The trailer begins with the two at a banquet in Germany, where they open fire and kill any Nazi within reach. From there on, however, the story becomes a bit confusing to follow. Directed by Robert Zemeckis, the film also stars Matthew Goode, Raffey Cassidy, Charlotte Hope, Lizzy Caplan, and Jared Harris. Based on a true love story, Allied will hit theaters on 23 November, 2016.